While Vancouver Island and Salt Spring might get most of the attention, the third-biggest island, Galiano, and the smaller Pender are home to amazing artists, quirky accommodations and incredibly Instagrammable beaches. 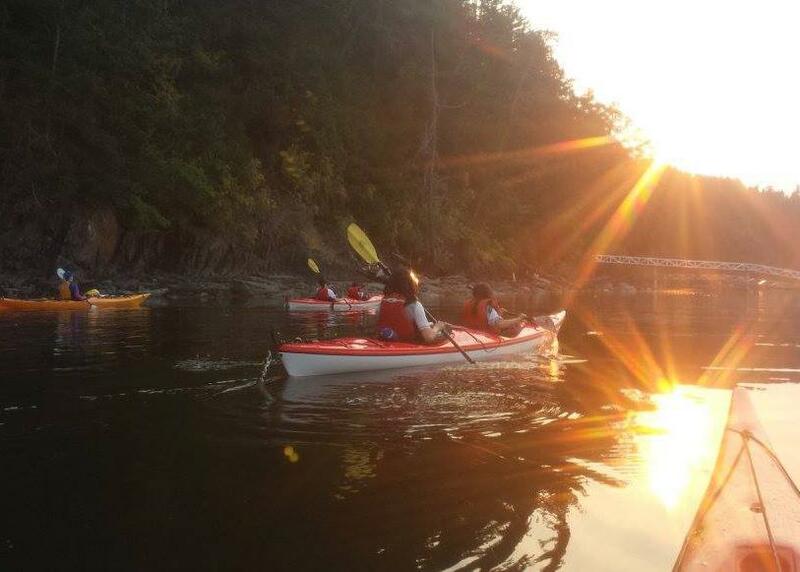 Take a long weekend to unwind this summer and discover some of these hidden gems. 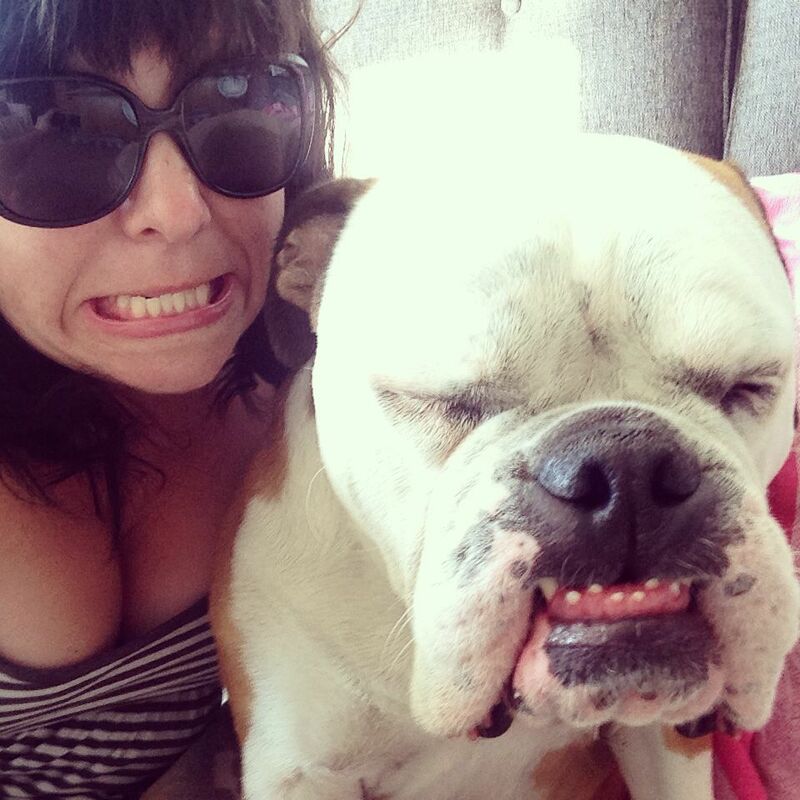 Amy WatkinsWarning! 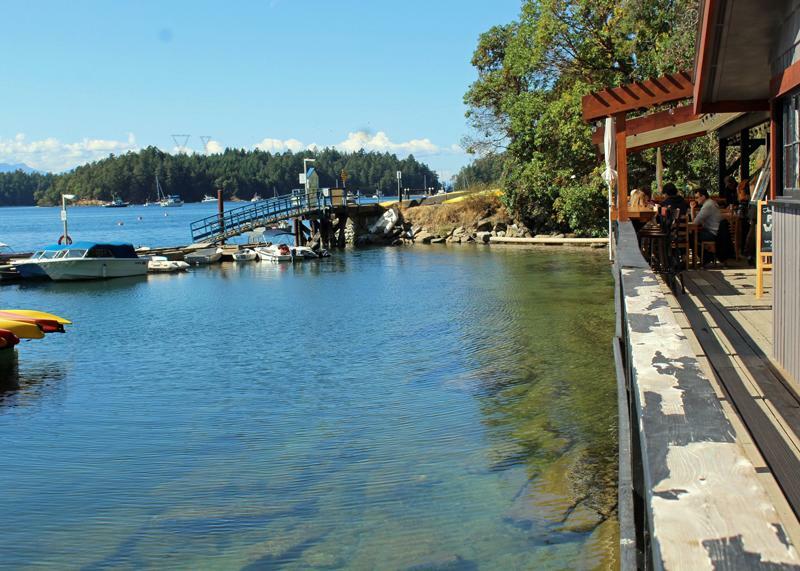 A lot of people that visit Galiano end up living there. Artists are especially drawn to the beautiful beaches, slow-paced island life and thriving creative community. Search for a banner or balloons that mark open studios as some are only open seasonally. Hidden among the forests and down driveways are purpose-built galleries like the glassworks studio of Marcia DeVicque, where she showcases her beautifully colourful yet functional pieces around her wooden cabin; Sandra Dolph's outdoor Cedar Grove Gallery, showcasing internationally renowned pottery on Porlier Pass Road; or visit Kenna Fair’s indoor gallery at Black Bird Studio to see her vividly coloured depictions of tidal pools and birds, as well as work by guest ceramic and pottery artist Laurie MacCallum and painter Rachael Peters. 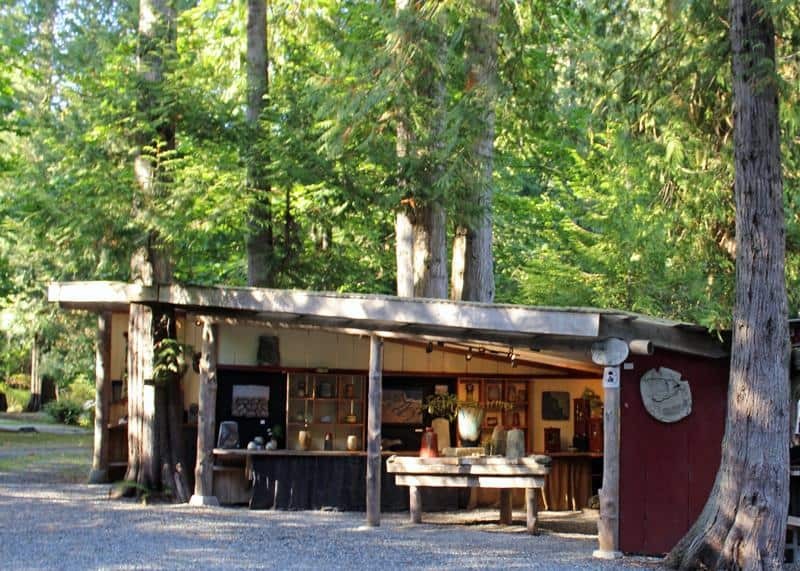 Galiano is also home to talented craftspeople. Richard Dewinetz of Bodega North Woodworks retired from a corporate role in a successful cabinet-making business to create his own version of the famous Adirondack chairs. His wooden "Galirondack" chairs come in various sizes for kids and adults (and some even have wine holders for enjoying a sunset drink). Amy WatkinsGet your camera ready for amazing views of Active Pass (BC Ferries' main route to Victoria and the other Southern Gulf Islands). 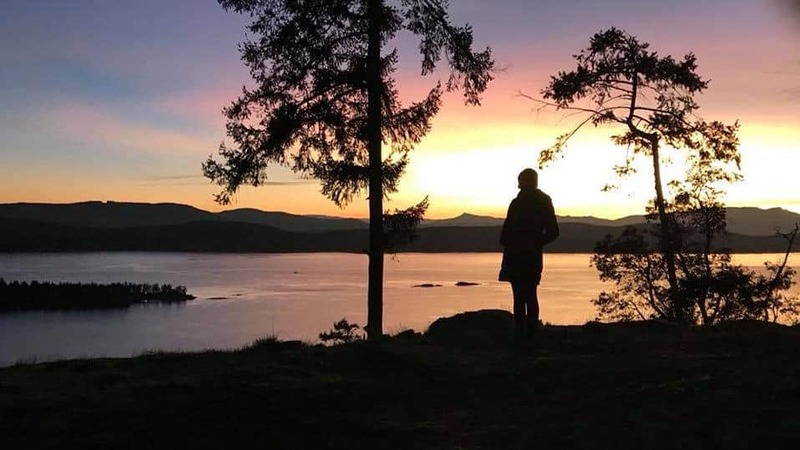 Drive up to the Bluffs or take the eight-kilometre trail to the top, traversing the ridge as you see the Southern Gulf Islands stretch out to the horizon and meld into America's San Juan Islands. Bluffs Park was established in the 1940s, but if you walk downhill you’ll find a pre-Second World War Japanese kiln, which was used to make charcoal for canneries. Facebook/Galiano Inn & SpaClose to the ferry terminal at Sturdies Bay, Galiano Inn subtly blends into its oceanfront location among beautiful gardens and a beach that overlooks the Strait of Georgia. 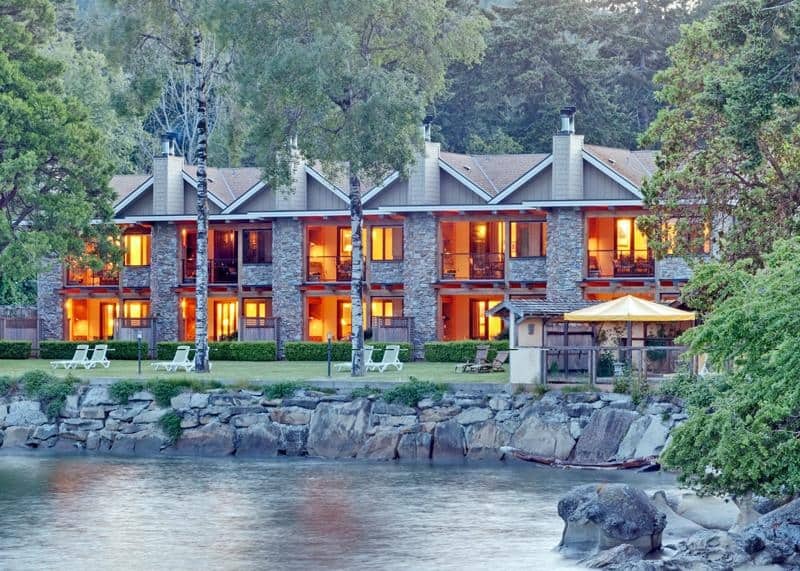 Eat wood-fired pizza on the Mediterranean-inspired outdoor summer terrace or head inside to the Atrevida dining room for fresh fish and local produce in a beautiful space adorned with First Nations art and bay windows with sweeping views of Mount Baker, Active Pass and Mayne Island. Relax in the Madrona del Mar spa or snuggle up in front of the fireplace in one of the spa suite rooms, many of which feature deep soaker tubs to warm up in. Rent one of the inn’s Smart cars to explore farther afield, or just wander up the road to Galiano Island Books to find a new novel to read on the balcony as the ferries come and go. Amy WatkinsOpen from spring until September, Crane and Robin’s marinaside spot at Montague Harbour makes it feel like a million miles away from city life. Sit out on the sunny deck and watch the kayakers and sailboats while you get messy with frozen margaritas (or a virgin version) and taste tacos, full of everything from fresh fish to veggies like curried cauliflower. Amy WatkinsDeclared the province’s first marine park in 1959, this area has been home to Coast Salish people for at least 3,800 years, as evidenced by the middens made of discarded clam, oyster and abalone shells on the seashore. Crushed by storms and bleached by the sun and seawater, the shells have created incredible white beaches. If palm trees stood where the peeling red bark of the arbutus tree is visible, you could easily be somewhere tropical. Explore the salt water marsh and explore the rippling pattern of the rock ledge, carved by glaciers thousands of years ago. PhillysTake the 45-minute ferry from Galiano to Pender and arrive in time for brunch. When the original 1900s Hope Bay General Store burned down in the late 1990s, a band of locals purchased and restored the oceanfront building, where you’ll now find Philly’s Diner. 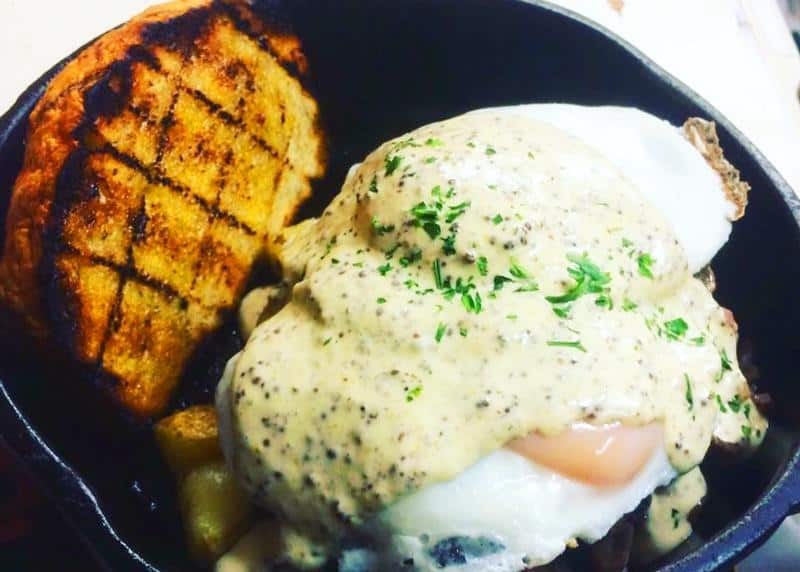 Chef Phil cooks up comfort food classics, and co-owner Sabrina can sometimes be found playing the diner’s piano. 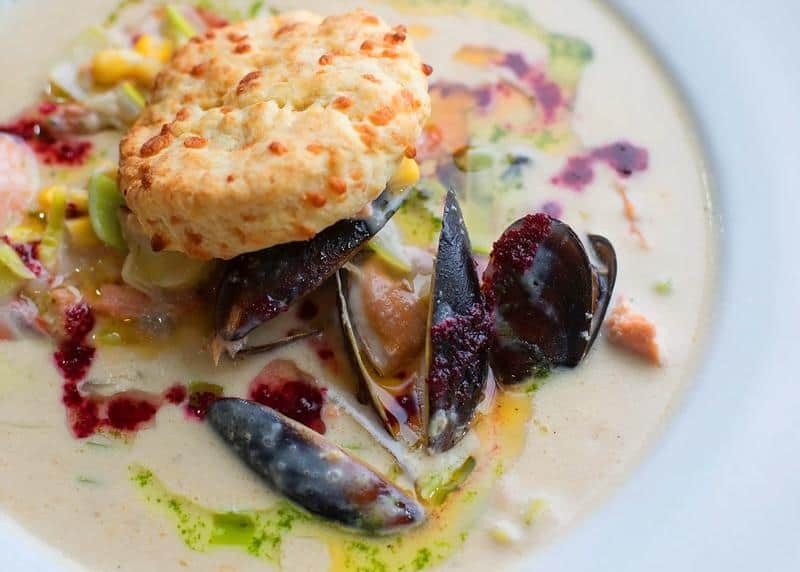 Enjoy ocean views while eating the creamy chowder, stuffed full of local mussels, prawns and fish and served with a homemade cheddar biscuit. Check out Philly’s neighbours at Pender Chocolates and Red Tree Gallery while you’re there. Facebook/Kayak Pender IslandTake part in a tour with Pender Island Kayak Adventures to discover the coastline of the island. Explore the protected coves and tidal zones of Port Browning and Bedwell Harbour, where giant hollow kelp can be scooped out of the water and blown like a bugle. 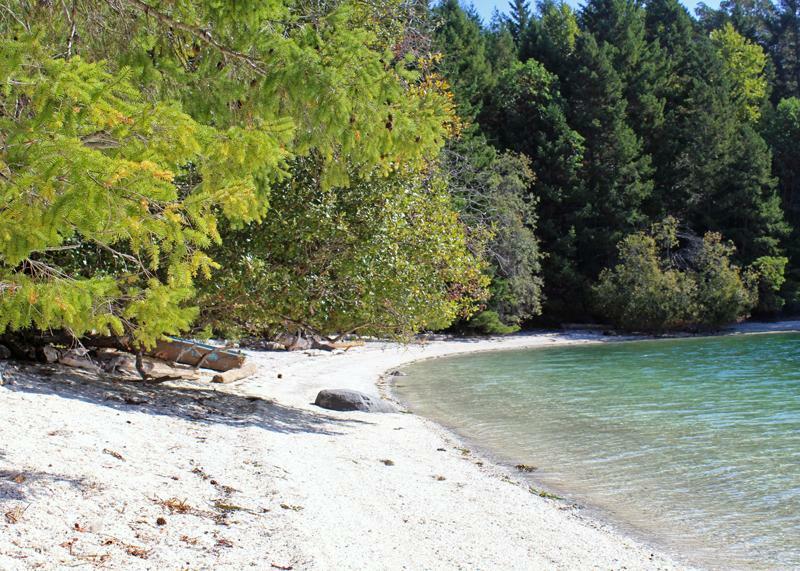 Kayak to the Pender Canal that separates North and South Pender Islands and check out the multimillion-dollar homes hidden on the hillsides along the way. 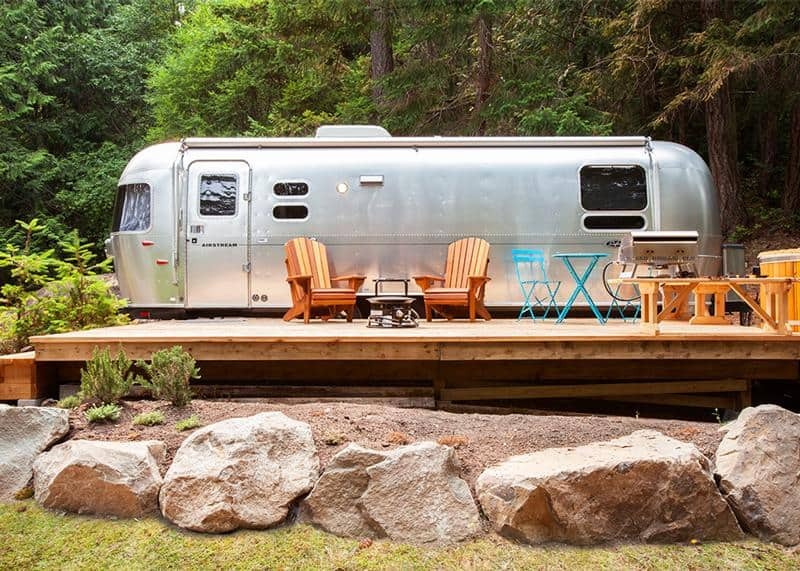 WOODSSet in a tranquil forest with a choice of Airstreams, rustic cabins, Shasta Airflytes and a motel lodge for accommodations, Woods on Pender is an Instagram fan's dream. Vancouverite Curtis Redel opened the campsite resort in 2015, and the combination of nostalgia and modern amenities has been a big hit with city slickers looking for an escape. Each of the seven Airstream trailers comes with a fire pit, barbecue and hammock, and some have glamping tents next door for extra sleeping room. Curtis is also the chef at Woods Coffee Kitchen space, which is a daytime coffee hangout serving Fernwood Coffee Company beans and Silk Road Teas and then transforms into a tapas joint in the evening. Communal tables, share plates of pizzas, local charcuterie and comforting dishes like dahl, as well as handcrafted cocktails, local beers and a B.C. wine list, give it a social atmosphere. Jo's PlaceStart the next day with a hearty breakfast at Jo’s Place—a favourite with locals looking for a filling "Benny burger" or an epic omelet—then head next door to Vanilla Leaf Bakery to pick up picnic supplies and sweet treats for the day. The bakery is also the only place to get sushi on the island and the broccoli tempura "Grinch rolls" are a delight. Amy WatkinsWalk it all off with a stroll at Brooks Point Regional Park at the southern end of Pender. 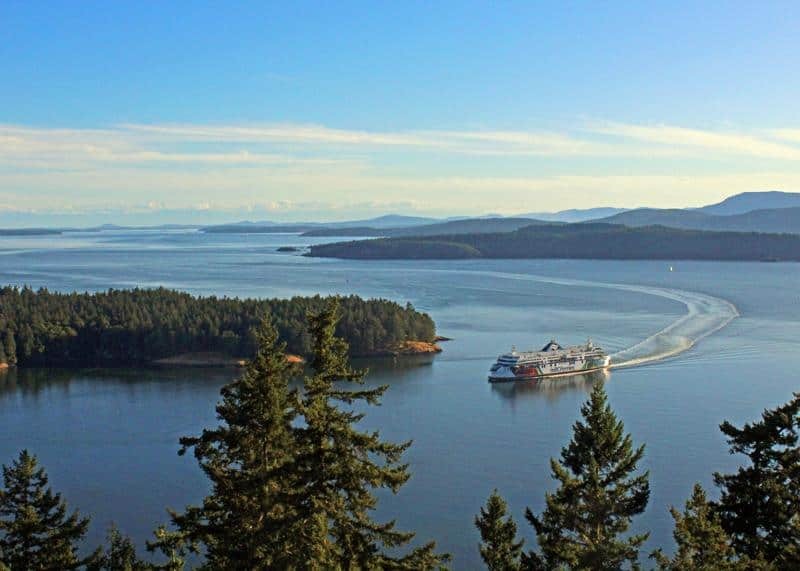 On a clear day, it offers incredible views of Boundary Pass, over to the Southern Gulf Islands, Washington State’s San Juan Islands and looming Mount Baker in the distance. 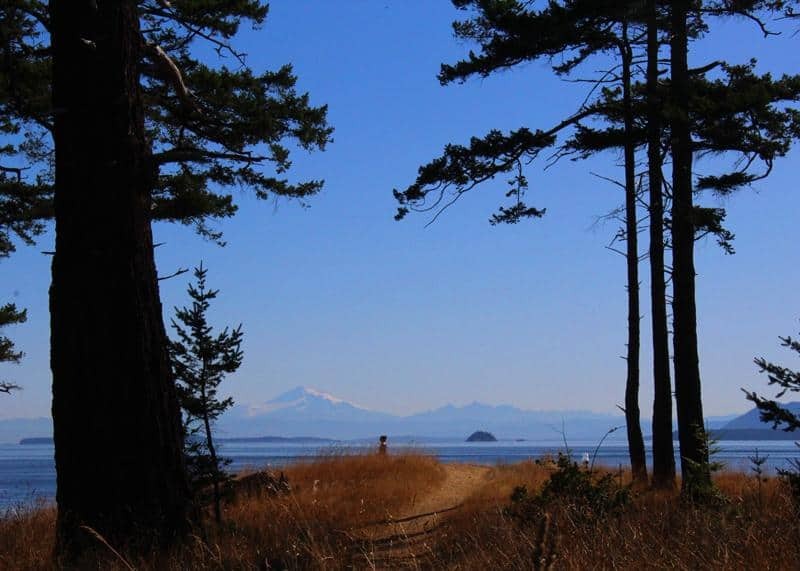 You might even be lucky enough to spot orcas, seals or otters as you walk through the forest and beach trails. 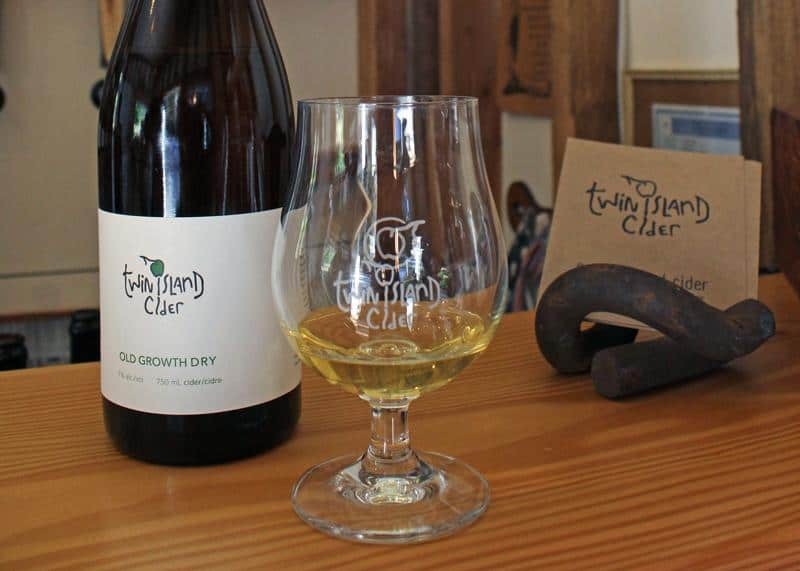 Amy WatkinsCraft cider is having its moment in the sun, and young farming couple Katie Selbee and Matthew Vasilev are bringing a taste of Pender Island’s heirloom apples to the bottle at Twin Island Cider. Visit the orchard and charming little tasting room to talk to the duo and hear about their apple-picking adventures, from scaling century-old trees to visiting neighbouring islands to collect excess apples from people’s gardens. 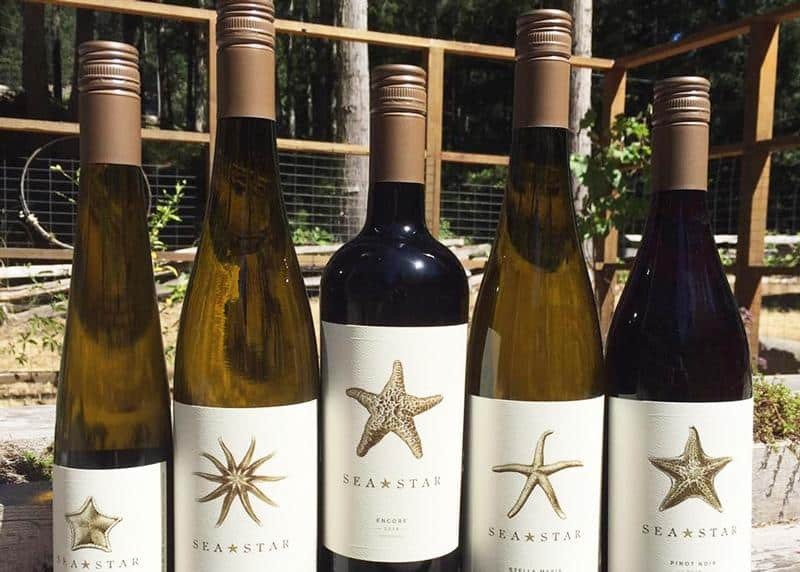 Facebook/Sea Star Estate FarmFeatured in some of the province's best restaurants, Sea Star is rapidly making a name for itself in the wine world. Owner David Goudge, previously in real estate, took over Morning Star vineyards in 2014 and renamed it while also bringing in winemaker Ian Baker, former owner and winemaker of Salt Spring Island's Mistaken Identity. Spreading from Mount Menzies down to the ocean, the vineyards were originally planted in 2002 and include Gewürztraminer, Pinot Noir, Pinot Gris, Riesling, Ortega, Marechal Foch, Leon Millet, Schonburger and, more recently, Siegerrebe. Meet the resident lawn-mowing sheep and Hudson, the official greeter dog, then sip some of the deliciously floral Ortega or crisp Pinot Gris in the modern tasting room. Stock up on favourites because the wines sell out fast, with some popular varietals, such as the Marechal Foch, exclusive to the winery shop. 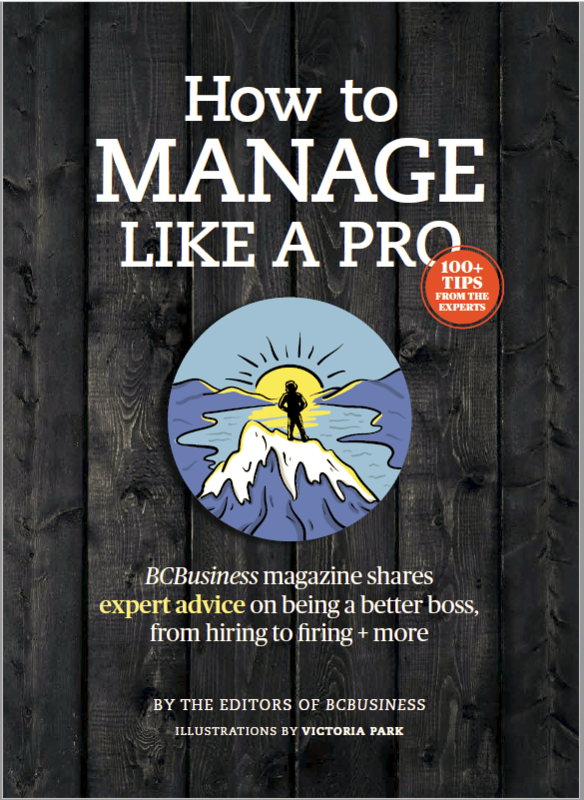 Previously published by BCLiving. Amy Watkins is a British writer who fell in love with Vancouver when she visited on an assignment and then moved here. She writes about travel for national U.K. publications and writes BCLiving's weekly events column.